Comply Systems is a company dedicated to improving the functions of the government's anti-fraud oversight and auditing units as well as the insurance industry's anti-fraud mission. We provide innovative proprietary tools, and training that results in increased productivity and creates real savings to the public and private sectors. ComplySystems primary goal is to prevent and mitigate Fraud Waste and Abuse; however, we believe that Mexican providers deserve to be paid in an expeditious and fair manner. DCAL enables member companies to adjudicate Mexican dental claims quickly while safeguarding against Fraud Waste and Abuse. Over the last eight years, ComplySystems member companies have processed tens of thousands of claims and have saved millions of dollars. It is worth noting that there hasn't been a single appeal from a dental provider. We realize that a company is only as strong as its team. At Comply Systems we have a team of professionals that helps us continually improve processes and aid our customers in reaching their goals. Our team has over twenty years of anti-fraud investigation experience, over twenty years of web application development experience, and a true passion for identifying and preventing fraud. Alex Basauri is a co-founder of Comply Systems and an experienced executive with over 15 years of anti-fraud experience. Prior to founding Comply Systems, Alex was managing partner at Integrated Fraud Solutions, a company dedicated to providing anti-fraud consulting services to healthcare insurance providers. As managing partner at IFS, Alex managed the day to day operations of the company and coordinated the review of thousands of foreign medical claims for fraud waste and abuse. Alex's anti-fraud and technological experience was instrumental in the development of the proprietary methodology offered by Comply Systems. Alex holds BSEE and MSEE degrees from California Polytechnic State University San Luis Obispo and a BSEE from the UANL in Monterrey Mexico. Alex is married and enjoys traveling with his wife and three daughters. 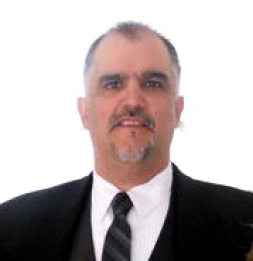 Chris Wheat is a co-founder of Comply Systems with over 15 years of development experience. 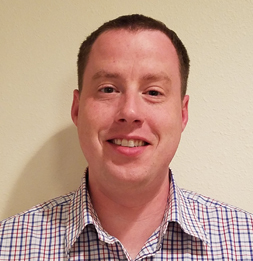 Prior to founding Comply Systems, Chris has worked as an application developer in both the public and private sector building secure web based enterprise systems for multi-national corporations. Chris has a true passion for creating user friendly, standards compliant applications. He has led development teams on numerous projects throughout his carrier including DCAL, online travel booking system, manufacturing management systems, web based factory reporting, HR tracking systems, and online payment management.